I love the trilogy written by J.R.R. Tolkien, The Lord of the Rings, and the movies based on them as well. I first read The Hobbit and The Lord of the Rings trilogy when I was in my early twenties, but little did I suspect then, that this epic saga would become a cinematic blockbuster in the new millennium. Mysteriously, perhaps even with my dormant Catholic sensibilities, I have always felt curiously at home with The Lord of the Rings. I eventually learned that JRR Tolkien was a passionate Roman Catholic. From the transforming journey and sacrificial heroism of Frodo and Sam, to the death and resurrection imagery surrounding the Wizard Gandalf, to the myriad lessons about fidelity, honour, courage, sacrifice, virtue and vice, the deeply Catholic sensibility of Tolkien pervades this fantasy world with all its fantasies, quests and creatures. The last book, The Return of the King, has a pivotal scene. Aragorn, the rightful king of the west, has long laboured in obscurity, forgoing kingly comforts to serve his subjects and fight their battles, repeatedly risking his life for them. At last he prevails over the forces of the dark lord, Sauron, and is poised to enter the city where he will rule at last. This is a scene that had been omitted from the movie version, which I honestly believe to be a major loss because it is an integral part of the story - Aragorn enters the fortified city of Minas Tirith for the first time as king. The city’s steward proclaims Aragorn’s royal pedigree for all the citizens to hear: “Here is Aragorn son of Arathorn, chieftain of the Dunedain of Arnor, Captain of the Host of the West, bearer of the Star of the North, wielder of the Sword Reforged, victorious in battle, whose hands bring healing, the Elfstone, Elessar of the line of Valandil, Isildur's son, Elendil's son of Numenor. Shall he be king and enter into the City and dwell there?” In my critical analysis, there is no doubt that Tolkien had Jesus in mind when he wrote those words. 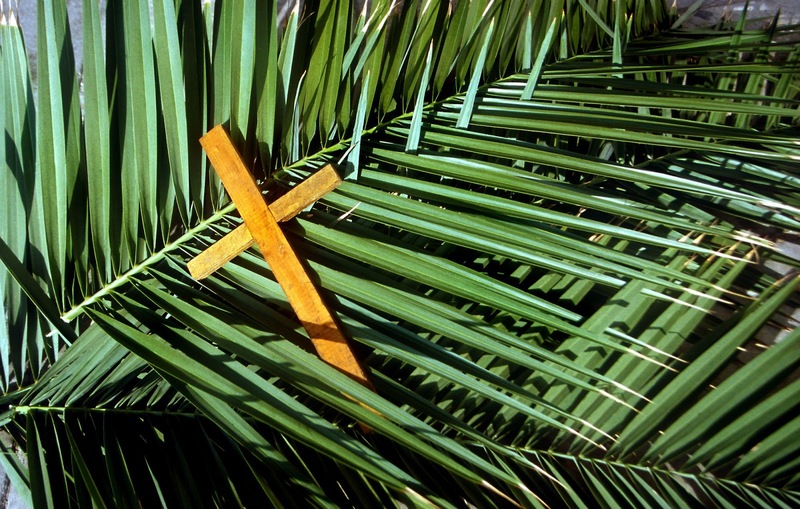 Palm Sunday is also about the return of another King who has long laboured in obscurity: unheralded, humbly serving the people over whom He had every right to reign, laying down His life for them. Back then and today, He claims the throne of your life and mine. Today we celebrate the return of our true King. The prophecies are fulfilled. The years of longing are over. Now every wrong would be made right, amidst shouts of praise, and tears of joy, the pleadings for justice, and the cries of enemies defeated. The King has returned to the land of His birth. He was driven from His land as a refugee, and had spent His first years as a refugee in a foreign land. As such, He is a King who understands pain and suffering. But, this King is not the sort of King many were expecting. This King brings justice, not over our enemies but in the midst of our enemies. He brings peace, not in our lands but in our souls. He is the answer to the prayer, we did not even know we were praying for. The King has returned! Here is our true King. He is Jesus the Christ, the Second Adam, the Bright and Morning Star, the First and the Last, victorious in battle, whose hands bring healing, Mighty Second Person of the Trinity, Son of David, Son of Man, Word of God Incarnate, the Wonderful Counsellor, the Mighty God, the Everlasting Father, the Prince of Peace. He is Emmanuel – God with us. He is the King who has returned not to seek the adulation and praises of His people, which He truly deserved, but He is the King who willingly returned to be subjected to humiliation and rejection and finally, to accept death on the cross so that we His people may have life. 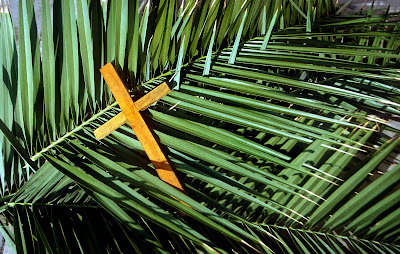 This is what Palm Sunday is all about. Everything about today’s liturgy has a regal air about it. Beginning from the humble king who rides a donkey as He enters the city, heralded by cheering crowds waving their palms to the other scene which we just heard in the Passion gospel, which climaxes with this Mighty King humbled on the throne of His glory, the cross that looms over Good Friday. Though Jesus’ triumphal entry was the climax of His public ministry, the pinnacle of His earthly popularity, it was one of the most misunderstood events of His life. The crowd assumed that Jesus and his movement would serve their cause, but Jesus’ failure to satisfy their expectations leads to a cry for His crucifixion a week later. They sang “Hosanna, Hosanna!” when they thought that Jesus was going to give them what they wanted; but they shouted “Crucify! Crucify!” when He broke their expectations. The Lord’s actions at the triumphal entry show what kind of a king He is and isn’t! The triumphal entry shows us Jesus’ kingship is not political or military, but a spiritual one. Jesus is no one’s political advocate or military conqueror; He is a humble but all-powerful Saviour who gives us salvation for our souls. Just as Jesus did not serve the crowd’s political interests at the triumphal entry, He does not serve our political interests today. It would certainly be travesty and a lie if we were to reduce Jesus to the role of a political reformer, a provocateur, or even align Him to ideological positions on the left or the right or even in the centre. He didn’t come to choose sides, He came to die for the sins of everyone. He is a Saviour for the left, right and centre. Our privilege is simply to love Him, to obey Him, to serve Him and finally to worship Him. It is we who must conform to His agenda and not the reverse. The Lord does not need to fit into our neat ideological categories. Neither is He a military conqueror, but He does lead us, the Church Militant into battle. It is not a battle of swords, spears or chariots. It is not a war of tanks, ships or missiles. But it is a war where we struggle and strive with temptations, sin, evil, suffering, death and the Devil. It is not a war that could be won by power or might or strength of arms, but it is a war that can only be won through humility and obedience to the Father’s will. And it is a war that has already been won by the sacrifice of the cross. He was the perfect sacrifice that has atoned for all of our sins - past, present, and future. We began our liturgy with the magnificent procession of palms and have now concluded the lengthy Liturgy of the Word, a foretaste of what to expect in the days to come. We will soon be moving to the Liturgy of the Eucharist, where our experience of our Lord and King would reach its natural climax. It is here, that we are invited to stand with Him, not only to bask in the glory of the triumphal entry into Jerusalem but also to share with Him and take it into ourselves, His redemptive sacrifice on the Cross. Tolkien underscored this in a letter he wrote to his son near the end of his life: “Out of the darkness of my life, so much frustrated, I put before you the one great thing to love on earth: The Blessed Sacrament... There you will find romance, glory, honour, fidelity, and the true way of all your loves upon earth...” Indeed, this is what you would discover in this and every Holy Week. If we had accompanied Him into Jerusalem, let us accompany Him to the cross. There you would find the culmination of every “romance, glory, honour, fidelity and the true way of all your loves upon earth.” Let us go forth to greet Our Lord, the King who has returned to die.